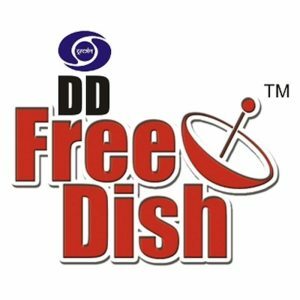 DD Free Dish is India’s only Free Direct-To-Home Service previously known as DD Direct +. This service was launched in December, 2004. DD Free Dish DTH service is owned and operated by Public Service Broadcaster Prasar Bharati (Doordarshan). What is DD Free Dish? Doordarshan’s DTH service which known as DD Free Dish was launched in December 2004 with the modest capacity of 33 channels. This service was inaugurated by Hon’ble Prime Minister of India. DD Free Dish has been upgraded from time to time. At present its capacity is 104 SDTV channels along with 40 Radio channels. DD Free Dish is available in Ku-Band on GSAT-15 (at 93.5°E). This Ku-Band DTH service provides the TV coverage throughout the Indian territory (except Andaman & Nicobar Islands). DTH signals can be received through a small sized dish receive system ( i.e. Set Top Box and Dish of size of 60 to 90 cm in diameter) for which no monthly subscription fee is payable by the viewers. Future of DD Free Dish? Expansion of DD Free Dish has been carried out from time to time. With the introduction of new MPEG-4, DVB-S2 stream, the present capacity of 104 SDTV channels and 40 Radio channels is likely to be enhanced in near future. There is also plan to introduce HD channels in the bouquet of DD Free Dish. The 80 channels of MPEG-2 streams will also be expanded to MPEG-4 in phased manner. How DD Free Dish is different from other DTH systems? Most of the DTH operators, provide paid DTH Service. In the paid service, the DTH operators uplink the encrypted TV signals to the satellite and the signals are received by subscribers through a Dish receive system having a Dish Antenna and one Customized Set Top Box (DIGITAL DECODER). By choosing the bunch of various desired TV channels subscribers are charged by DTH operator for viewing these channels. How to receive DD Free Dish? Following is the suggestive tuning procedure of STB for receiving the TV Channels. e) Enter Satellite Name as GSAT-15. How to update the changes in TV channel tuning manually in old non iCAS STB? In new iCAS STB, all changes will be done over the air automatically and no manual interaction is required. Following are the steps to be followed to scan or search the channels on DD Free Dish DTH bouquet. The new TV and Radio services will be displayed. For other frequencies and related parameters refer to table below. 2. How to delete TV channel programme in STB manually? A. The procedure to delete TV Channel programme in the TV channel list varies from make to make of STBs. Follow the procedure mentioned in the installation manual supplied along-with the STB. Following are the steps to be followed to delete channels in TV channel list. Select the channel, using up down key.